Sorry Homer (and countless men in blue), these closed and abandoned donut shops have served their last sprinkled, frosted and/or creme-filled delicacy. DOH! 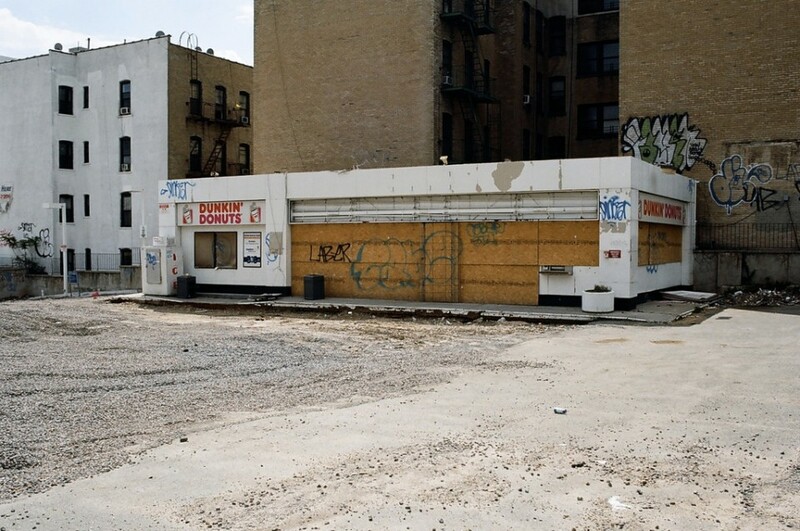 An abandoned donut shop in Crown Heights? That ain’t kosher… and maybe that was the problem. 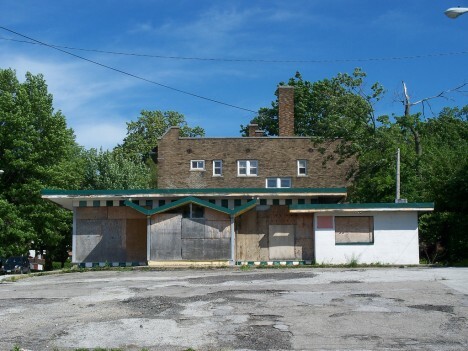 Flickr user Anthony Fine (pop archaeologist) snapped the sad state of this boarded-up former Dunkin Donuts store on May 19th, 2014. At least a tree grows in Brooklyn; donut shops, not so much. 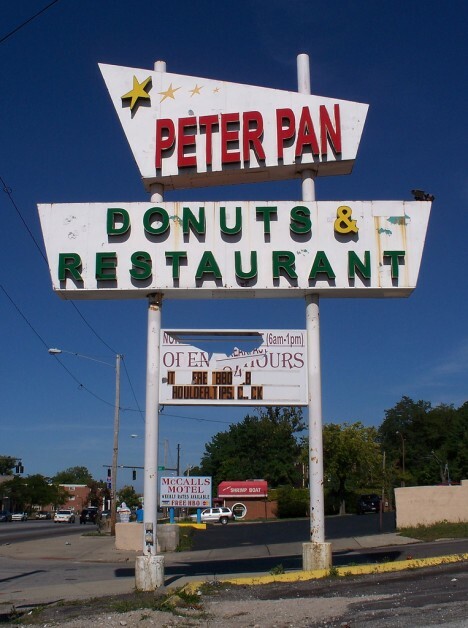 How good was the food at Peter Pan Donuts & Restaurant? Since the owners put “Donuts” before “Restaurant” on their sign, you can probably draw your own conclusions. We’re sure Spinal Tap felt the same way after getting second-billing to a Puppet Show. Nice sign, though. 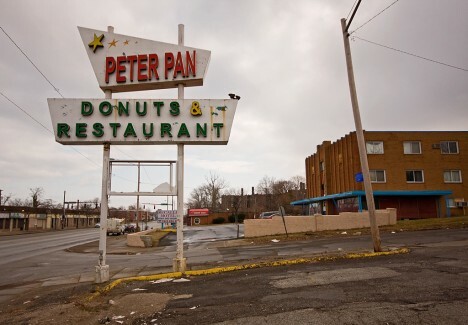 Flickr users Randy Fox (congoeels) and Scott (scottamus) captured the abandoned and deteriorating Cleveland, Ohio “landmark” on various occasions between 2009 and 2013. 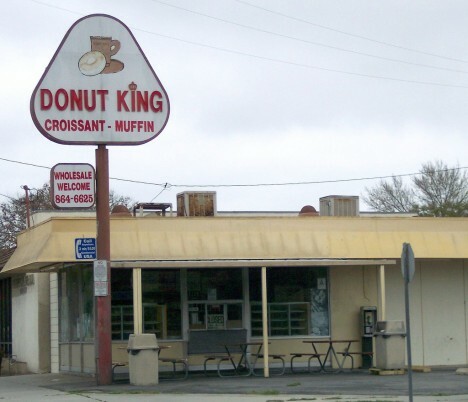 Winchell’s Donuts couldn’t make a go of it at this Norwalk, CA location so “Donut King Croissant – Muffin” took a stab at it… and saw history repeat. Don’t people learn from the mistakes of others? Mind you, offering the “wholesale” option was a stroke of genius. Mmmm, wholesale donuts. 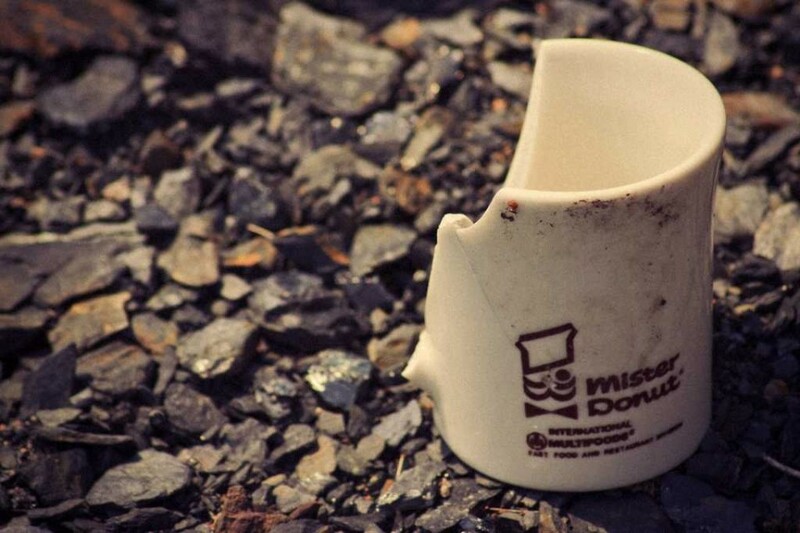 Flickr user ozfan22 snapped the deposed Donut King on March 29th of 2009. 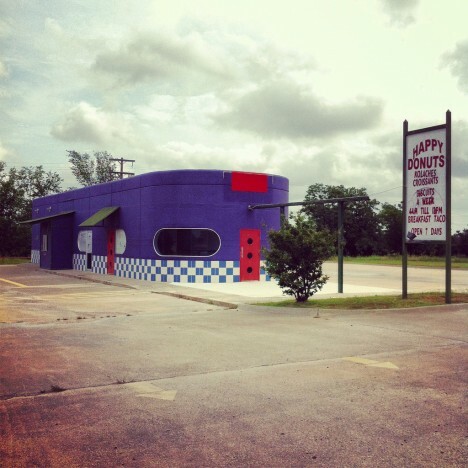 Flickr user Lindsay Blair Brown Instagram captured Happy Donuts in all its abandoned glory on May 6th, 2012. She didn’t say where the colorful shop was but maybe sharp-eyed readers can make an educated guess based on its offerings: kolaches, croissants, biscuits, and breakfast tacos. Serving up these delicacies 7 days a week, how could this place ever close?